My kids love stickers. We started using stickers when my youngest had speech therapy and I saw how her therapist used them to encourage her to express herself. My daughter loved the feeling of the stickers on her hand and she enjoyed creating pictures and stories with them. So our sticker collection started. And although they are no longer as popular as they use to be (we possibly verged on sticker obsession at one stage) we still do find ways of using them in our learning and crafts (especially with my youngest). 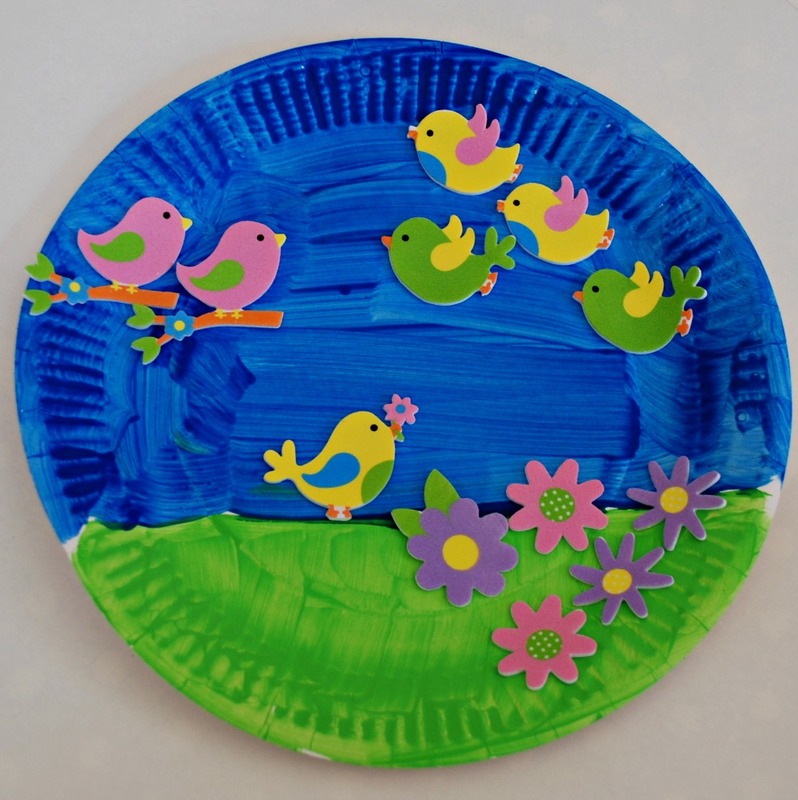 Over the easter weekend the kids painted a lot of paper plates. We had some wet weather and my youngest just got into paper plate painting and ended up doing around 5. I think he found it relaxing. 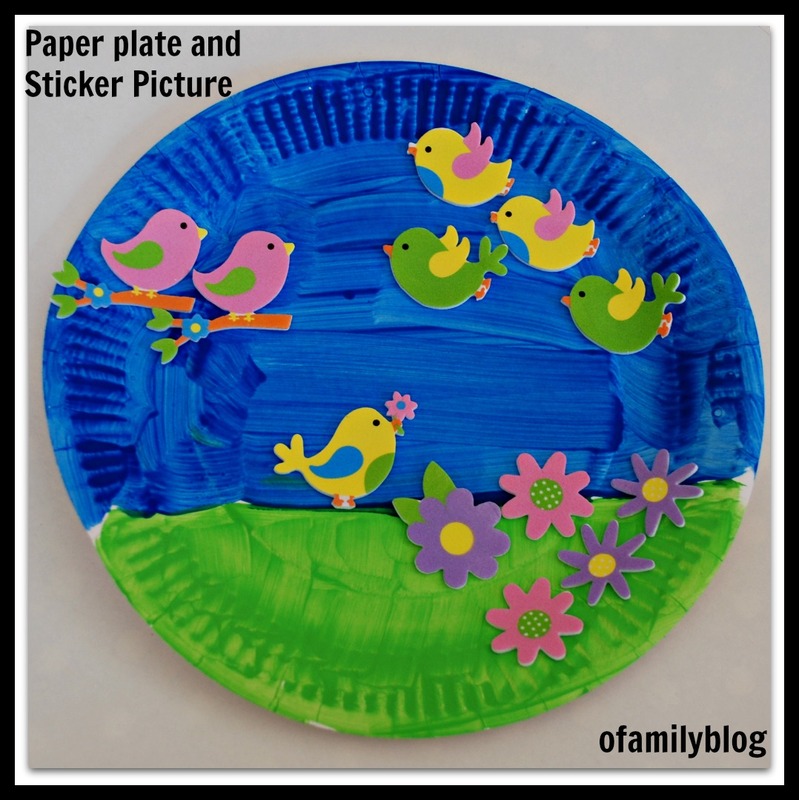 Anyway I wanted to do something with our paper plates so we got our box of stickers out the kids created a few pictures. 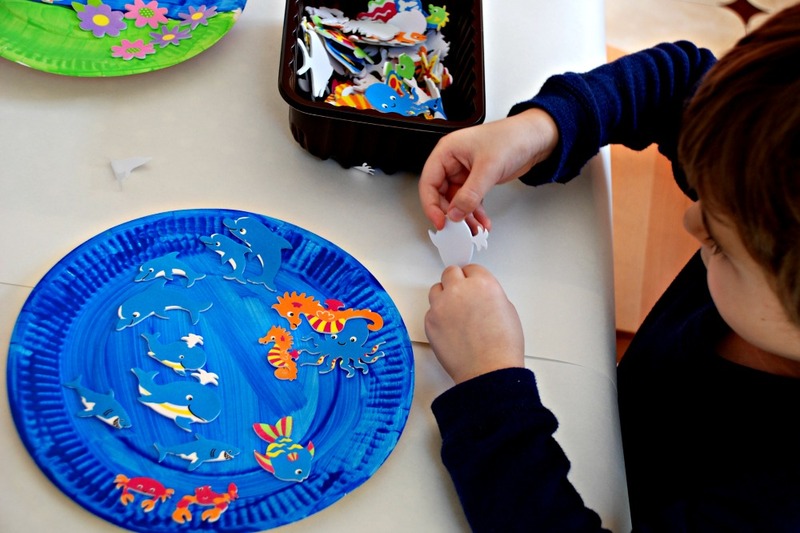 Honestly it is very simple but both kids enjoyed themselves and my youngest had a blast creating stories to go with each paper plate picture. (The home educator inside of me is already thinking I might use some of these pictures as a story starter for my daughter this week). 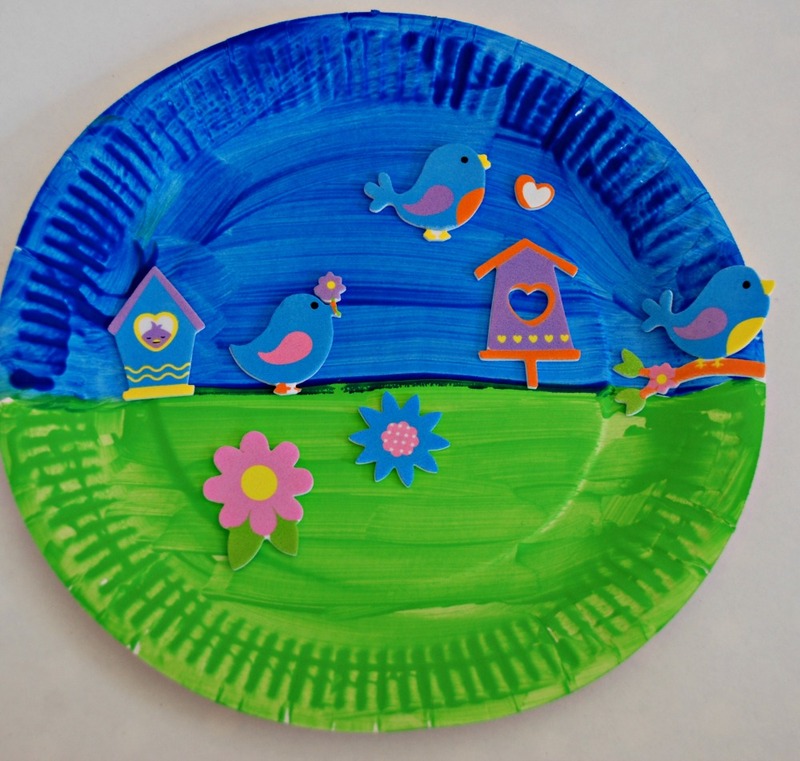 We also experimented a bit with adding some of our coloured sand to the paint and my son painted another paper plate. My youngest loved this as it gave the paper plate a lovely texture. 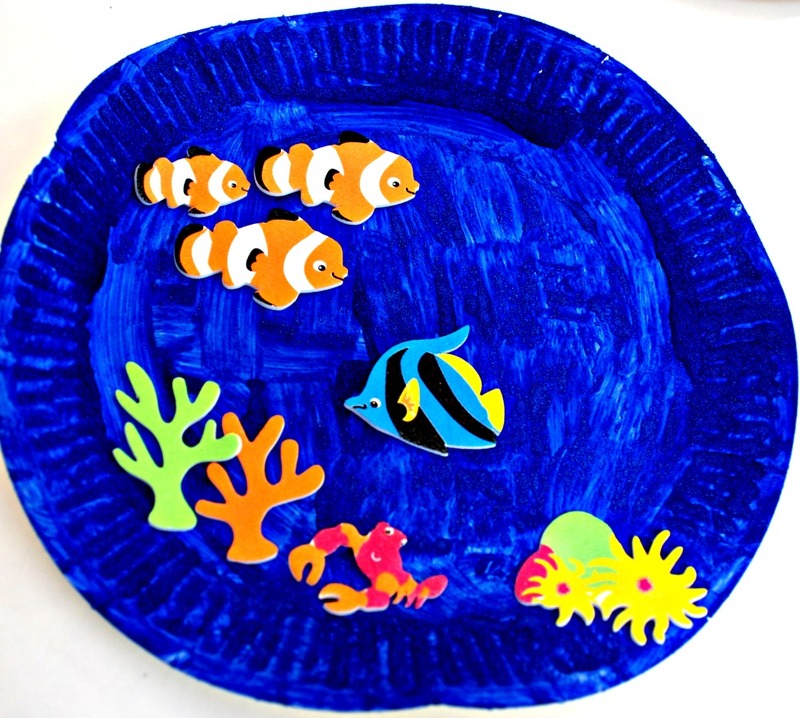 He used this plate for another under the sea picture. I think we are going to try the coloured sand mixed with paint again this week when we paint some pictures as it does add some lovely texture. The Spring Garden Bird Stickers – I was given these in a recent box of goodies which Baker Ross kindly sent me. Space Stickers – I bought these from Baker Ross over a year ago but they still have them. Under the sea stickers – I can not remember where I bought ours from but I found a lovely looking set of stickers from Baker Ross which are very similar. 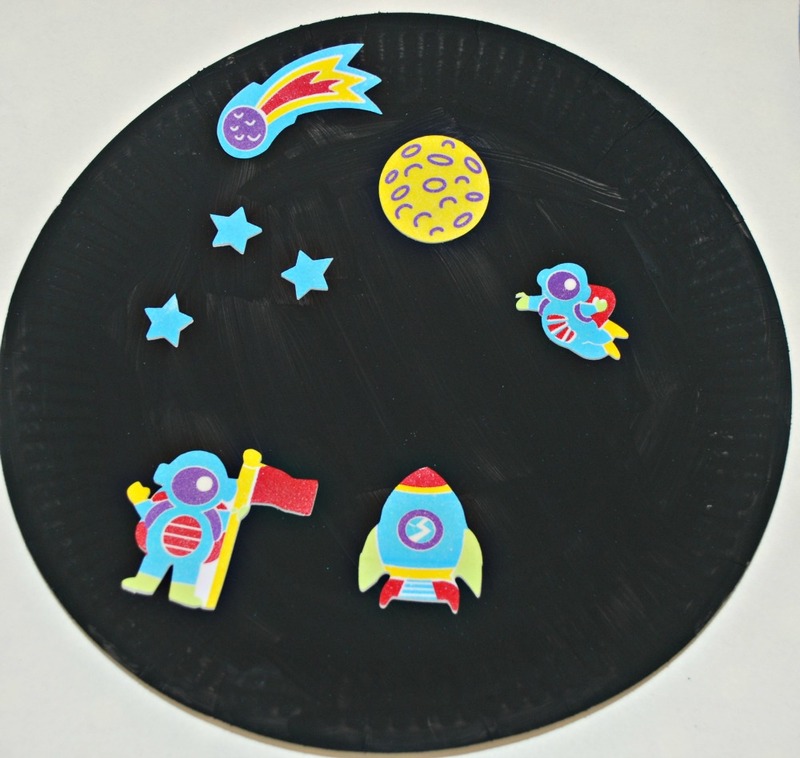 This entry was posted in Art and Craft Ideas and tagged children's art, children's craft, home education, homeschooling, paper plate and sticker picture. Bookmark the permalink.